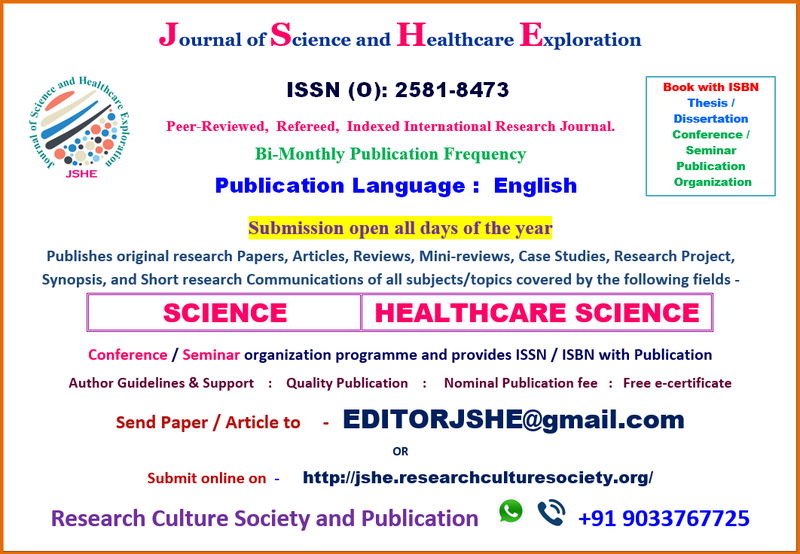 Journal of Science and Healthcare Exploration (JSHE) A Bi-Monthly, Peer-Reviewed, Refereed, Indexed International Research Journal. 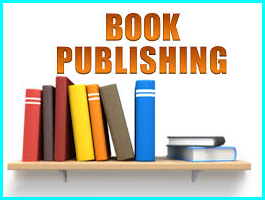 Physical sciences : Physics, Chemistry, Mathematics. Life science : Biology, Zoology, Botany, Biotechnology, Genetics, Anatomy. Earth science : Ecology, Oceanography, Geology, Meteorology, Space Science or Astronomy, Agricultural Science. Agricultural Science : Agronomy, Horticulture, Plant Pathology, Agri Economics, Genetics and plant breeding. Pre-clinical sciences : Biochemistry, Anatomy, Pathology, Genetics, Pharmacology, Nursing, Medical microbiology, Physiology. Medical Surgery: Anesthesiology, Angiology, Cardiology, Gynecology, Hematology, Neurology, Ophthalmology, Pediatrics, Rheumatology, Psychiatry . 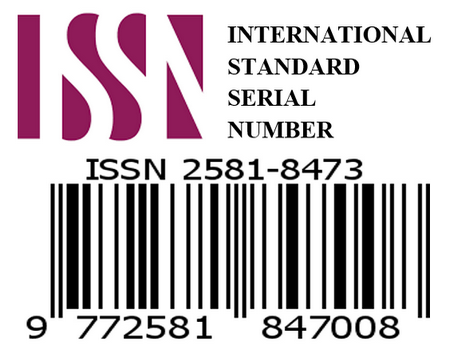 Receipt of Research work Within 48 hrs of the submission. 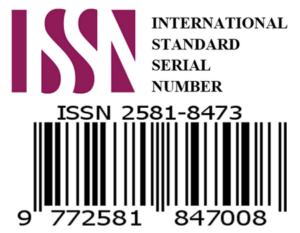 Peer-Review Process and Notification 10 to 15 days. 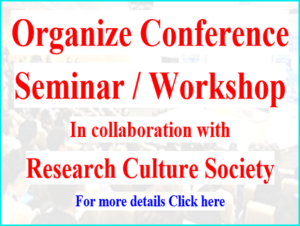 Covered Research work of : Ph.D / M.Phil research scholars, PG & UG Students, Regular Academicians, Government Employees, Industry Delegates, and other citizens interested in research works. 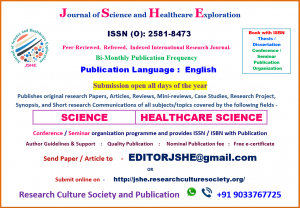 JSHE is an Open-Access, Peer-Reviewed, Indexed, Refereed International Journal.